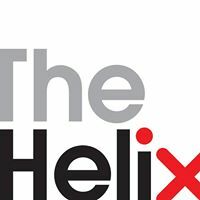 After many years of planning and two years of building, the performing arts landscape in Ireland changed dramatically when President Mary McAleese officially opened The Helix, Ireland's newest and most exciting multi-venue performance space on October 16th, 2002 at a gala celebration. Theatre in Dublin is at its best at the Helix, located on the Dublin City University Cammpus in Glasnevin, North Dublin. A short drive from the city centre, Dublin Airport and the M50 ( Ballymum Exit and the M1 Motorway. The Helix is indeed one of Ireland's newest and most impressive arts venues but also prides itself on a range of performing art and theatre in Dublin. A huge mixture of high class music, drama, entertainment and some world class performances. If you are considering theatre shows in Dublin, the the Helix is one great location that comprises of three different auditoria: The Mahony Hall, The Theatre, The Space. Not only the best of Dublin theatre but a spacous exhibition space and conference room called the Gallery and an imposing foyer, perfect for corporate events, arts events and more. Opened in 2002 by president Mary McAleese, the Helix has a impressive repuration for staging cutting and diverse Dublin theatre and music. These include Dame Kiri Te Kanawa, Lesley Garrett, Bryn Terfel, Brian Kennedy, Roddy Doyle’s ‘The Woman Who Walked Into Doors’. Van Morrisson, Lou Reed and Sinead O’Connor to name but a few. Some of the best theatre shows in Dublin, these include the following. Saturday the 18th October, 2pm & 7pm, Dazzle N' Dance comes to the Helix. The Cora Cadwell School of Irish Dancing presents Dazle N' Dance 2014. Based in Dublin and Kildare the range of dancers age from 3 to 22. The Show will be a mixture of Irish dance and Jigs and reels to children's favourites such as ‘Mickey Mouse’ & ‘If all the Raindrops’ to classic musical songs ‘Food Glorious Food’ & ‘Pick a Pocket’ to popular music from Abba & Shakira, this show is sure to bring a great variety of entertainment & will appeal to audiences of all ages, from 3 to 100. Sunday the 19th October, Lifted Voices: A Gospel celebration with Friends comes to the Helix. The North Dublin Community Gospel Choir will present LIFTED VOICES in a performance featuring a special guest performance by Eurovision Sensation Niamh Kavanagh and the King of Swing Mr. Frankly Buble.